Featuring Two New Stories! Unique to the collection. 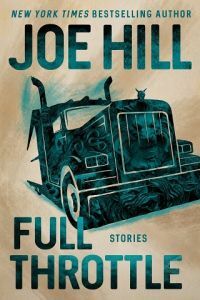 OVERVIEW: In this masterful collection of short fiction, Joe Hill dissects timeless human struggles in thirteen relentless tales of supernatural suspense, including “In The Tall Grass,” one of two stories co-written with Stephen King, basis for the terrifying feature film from Netflix. Morrow Hardcover, 2019. New / New.